A key performance indicator (KPI) is a type of performance measurement that helps you understand how your organization, department, or institution is performing and allows you to understand if you’re headed in the right direction with your strategy. Awards: This metric looks at the number of awards granted to students and/or faculty and staff during each academic calendar year. Research Grants: This metric examines the percentage of the grants students and/or faculty received versus those that were applied for. You may also want to track total grant dollars. Percentage Of Students On Aid: This metric calculates the number of students receiving some kind of financial assistance, like scholarship money or government aid. In a secondary school you may also track those on meal assistance. Grant Money: It’s important to track the dollars fundraised for an institution through endowments, donations, or partnerships. Tuition Costs: This metric examines the cost to each student in a given scholastic timeline (i.e. a quarter or semester) to attend the institution. Student To Faculty Ratio: Schools may want to examine this metric to ensure students are receiving the proper attention. In most cases, the lower your student to faculty ratio is, the better. Cost Per Student: This metric calculates every cost a school incurs to educate each student. This might include campus and building maintenance, teacher and staff salaries, some books costs, some food costs, and much more. Faculty To Administration Ratio: If this ratio is too low—say, you have only two administrators for 50 faculty members—there may be issues with scheduling, organization, and finances. Number Of Students Enrolled Per Number Of Applications: This metric is particularly important for private schools who wish to remain academically competitive. Additionally, it can help you keep tabs on statistics with the student body so you are able to offer the right amount of student resources. This can also be called the acceptance rate. Insights on managing Schools and Educational Institutions from Ameen Ahsan Strategy Consulting (AASC). AASC is based at HiLite Business Park, Calicut (Kozhikode), Kerala. AASC serves clients across Kerala and Gulf (GCC) countries. The concept of business models is well known, in summary, it is the expression of how a business makes money. It always involves a matrix of revenue generated, the fixed and variable costs of generating that revenue, and the choices that the business makes about its customers and how they will be serviced, and the way they incur the costs of that servicing. Supermarkets are a great example of a number of seemingly similar competitors that have slightly differing business models. At a macro level they have strong similarities, relying on volume, price, and shopper numbers to succeed. 1. Revenue generation. Supermarkets generate revenue on both sides of the equation. Shoppers buy products, paying at the checkout. Suppliers “pay” for shelf space via a range of charges levied for every variable the retailers can dream up. Volume discounts, payment terms, promotional levies, preferred shelf positioning, promotional slots, access to sales information, and a host of others. Some are items for which suppliers receive an invoice, others are taken as discounts off the invoice price, increasingly applied automatically as a part of the trading term package. 2. Cost management. Supermarkets work on very low percentage margins, relying on the volume to generate the cash margins. Fixed costs are a significant part of retailers total costs, made up of the provision of the retail floor space, the logistics infrastructure and personnel. Supermarkets attack their fixed cost base aggressively using their scale as negotiation tools with landlords and logistics suppliers, while keeping a very substantial proportion of front line retail staff as casuals rather than permanent employees so they can better adjust staff levels to match activity. The sorts of choices retailers make are between high density shopping centre locations Vs stand alone locations. There are costs a benefits to each which are considered as a part of their strategic decision making. The biggest variable cost is the cost of good sold, and they similarly use their scale to manage those costs downward. Tactics vary between retailers, but the core game is to maximise their margins while keeping prices as low as possible to attract the volume buyers. This is an extremely delicate balance. Transaction costs are usually pretty well hidden in most businesses, but are really significant in the case of supermarkets simply due to the number of transactions they make. Insights on managing FMCG and related businesses (Groceries, Supermarkets, Hypermarkets, Wholesalers) from Ameen Ahsan Strategy Consulting (AASC). Just like any industry, healthcare organizations also need to make continual adjustments to maintain optimum functionality. To determine the areas where adjustments are needed to be made, a number of methods can be used. However, one essential method known as SWOT analysis (that is extensively used in other industries) has not been put into use in healthcare. It allows the assessment of an organization from a neutral perspective through a detailed discussion of the organization’s strengths, weaknesses, opportunities and threats. SWOT analysis was originally designed to provide a thorough analysis of businesses in other industries, but its many benefits have prompted its use in healthcare organizations as well. The first step of SWOT analysis in healthcare involves the compilation and assessment of key data, which might include the community’s health status, present status of medical technology, or the sources of healthcare funding. Once the appropriate (and correct) data has been composed and analyzed, the capabilities of the organization are evaluated. In the second step of SWOT analysis in healthcare, the data collected is organized into four categories, which are: strengths, weaknesses, opportunities and threats (SWOT). The strengths and weaknesses of the organization are internal factors, while opportunities and threats normally are a result of external factors playing their part. Third step of SWOT analysis in healthcare involves developing a SWOT matrix for each business option that is under consideration. In the fourth step of SWOT analysis in healthcare, the analysis derived is incorporated into the decision-making process as it determines which option will best suit the overall strategic plan of the organization. 1. Be Realistic: Always be unbiased when collecting and evaluating data. 2. Avoid Complexity: Keep it short and simple to avoid over-analyzing problems. 3. Analyze Rationally: Compare your plans only with key competitors to get a better idea of whether the plan is better or worse than theirs. 4. Attain Change: Strategic plans should be updated as soon as problems are identified so that appropriate steps towards directional change can be taken. 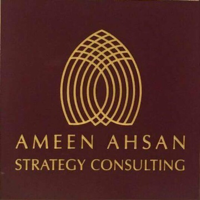 Insights on managing Healthcare businesses (Hospitals, Clinics, Health Centres) from Ameen Ahsan Strategy Consulting (AASC). A vision statement for a Retail company or organization should focus on the potential inherent in the company's future, or what they intend to be. While a vision statement might contain references to how the company intends to make that future into a reality, the “how” is really part of a "mission" statement, while the vision statement is simply a description of the “what,” meaning, what the company intends to become. Writing your vision statement is a time for creativity, ambition and fun, but the task should be approached seriously. A vision statement should also be concise, no longer than a sentence or a few paragraphs. You want your entire team and organization to be able to quickly repeat it back and more importantly understand it. But a vision statement should be more than a catchy tagline. Tips for crafting your vision statementVision statements should stretch the imagination while providing direction and clarity. A good vision statement will help inform direction and set priorities while challenging employees to grow. The vision statement should be compelling not just to the high-level execs of your company, but also to all employees. · Project five to 10 years in the future. · Dream big, and focus on success. · Use the present tense. · Use clear, concise language. · Infuse your vision statement with passion and emotion. · Paint a graphic mental picture of the business you want. · Have a plan to communicate your vision statement to your employees. · Be prepared to commit time and resources to the vision you establish. Your completed vision statement will give your employees a clear idea of your company's path forward. Then, it's up to you to nurture and support that vision and to inspire your employees to do the same. Insights from Ameen Ahsan Strategy Consulting (AASC) on managing Retail shops and Retail businesses. Retail business is critical as it directly handles the customers of various tastes and preferences.